The horrific events following an Ariana Grande concert at the Manchester Arena last night have deeply shocked and saddened everyone. Two explosions were heard in the venue’s foyer as the performance ended, causing casualties, destruction and panic as the crowd rushed to the exits. It’s suspected that this act was carried out by a suicide bomber, and these senseless acts of brutal, psychopathic murder are made even more unimaginable given the target was a venue full of innocent young people and parents, simply out enjoying a live show for the night. Nobody should go to a gig and not go home. At the time of writing there are tragically 22 casualties, one shockingly as young as eight years old, there are over 60 injured and still some parents wondering where their children are. We extend our deepest sympathies to all of the victims and families and offer our solidarity to the emergency services and the people of Manchester. We hope the missing return home and those that are injured make full recoveries. 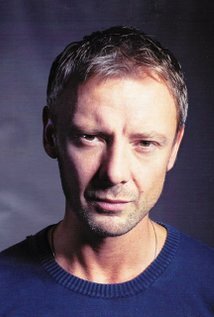 Manchester actor John Simm has urged people to come together and not allow such disgraceful terrorism to cause people to turn upon each other. Instead, to unite in solidarity in the face of it, just as the residents of Manchester and the emergency services did last night. ‘Today, we are facing a tragedy and an injustice dealt by the hand of a violent extremist. It’s hard to process one’s own feelings after something like this. Nothing can explain or make sense of the brutal murdering of innocent, young lives. Oftentimes it seems that a tragedy like this can pull apart the fabric of our society. There is no sense in terror – its only mission is to destroy and divide us. But we cannot let them win. Already in the immediately aftermath of this horrific event, we have seen the best of Manchester, a city I know and love deeply, and the best of each other. Without hesitating, people have opened their hearts and homes to one another, as fellow humans uniting behind their collective grief and suffering. And it is this we must take forwards. We must look to our neighbours, family, and friends – because united we are stronger than any enemy, and any act of cowardice and destruction can be overcome by our collective strength – time and time again. I am proud to stand with HOPE not hate to challenge hate and violence in all forms by offering a unified, positive alternative. I’ve added my name to a statement of positivity and support that will appear in tomorrow’s Daily Mirror. Bin gerade aus den USA zurück. Dank twitter war ich immer auf dem Laufenden. Furchtbare Sache, die da in Manchester passiert. Mein Patensohn hatte an dem Abend einen Auftritt mit seinem Chor. Bevor es losging, redeten alle über den Anschlag in Manchester. Wünsche den Verletzten eine schnelle Genesung und den Angehörigen der Opfer viel Kraft. Dass John sich zu Wort meldet, damit hatte ich fest gerechnet. Fand seine Worte berührend. Die Berichterstattung in den amerikanischen Medien fiel auch sehr merkwürdig aus. Fox ist als Sender eine Katastrophe! Noch nie so viel Schwachsinn aus den Mündern von "Reportern" bzw. "Moderatoren" gehört.